How to set up a Facebook live video with reaction poll? Live video provides instant interactivity, allowing viewers to feel like their actions matter as they’re taking part in the video. In this article, we will be teaching you how to set up your own live video with comments and a poll. Facebook introduced live videos back in 2016 and it has been a great way for businesses to engage with their fans. One way to engage users is to have a live video poll that reflects reactions immediately on the screen. 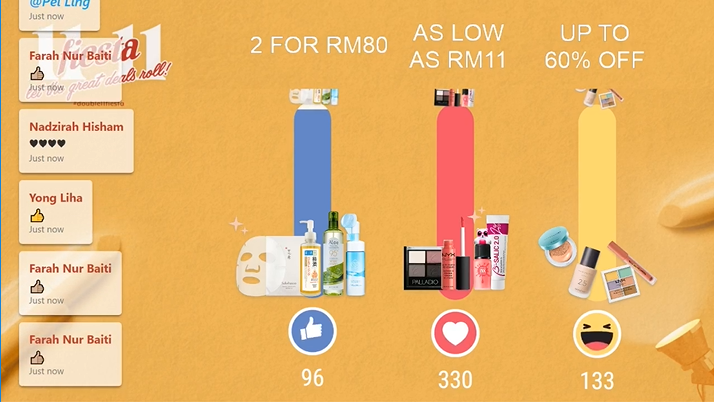 This instant feedback provides interactivity, allowing viewers to feel like their actions matter as they’re taking part in the video. It's up to your creativity on how to utilize live videos, such as contests, polls and so on. In this article, we will be teaching you how to set up your own live video with comments and a poll. Plus, this feature is free for everyone and for all Facebook pages. Got these ready? Good! And this is where things will get slightly complicated, but we're sure you'll get the hang of it. 2. 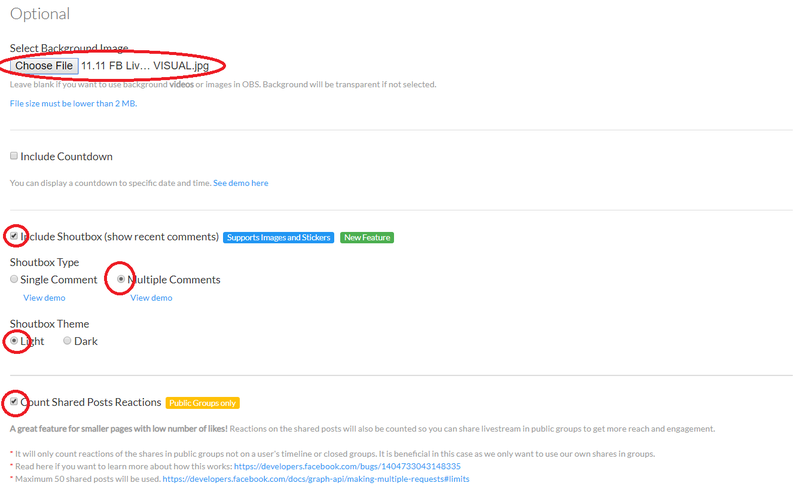 Click on "Get Access Token" circled in red. 3. A pop-up window will appear. Select your Facebook page by clicking on the "Application" button on the top right. 4. Once you've chosen your correct page, click on the blue "i" icon and then "Open in Access Token Tool". Both are circled in red. 5. Click on the “Extend Token” button to generate an access token that lasts 60 days. By default, the token only lasts 2 hours. After that, you may copy your Access Token code (circled in red). 7. A pop-up window will appear. Select your Facebook page by clicking on the "Share on your timeline" button and click on "Share on a page you manage" button to select the Facebook page you want your live video to appear. 8. Then it will bring you back to LiveReactionsPoll.com and a "Go Live" button will appear. Click on it. Don't worry, you won't go live just yet. 9. Another window will appear. Click on the </> button. We'll be copying a specific code to finally get the Post ID. 10. Click on "Copy to Clipboard". This is the code that will magically transform to your Post ID later. Don't close this window, we'll need this later. 11. Paste it back on LiveReactionsPoll.com with the "Get Post ID" box. The site will extract the “Post ID” from the embed video code automatically. 12. Lastly, set the streaming resolution width to 720px. Here is where you can experiment and have fun! For this tutorial, we will be using the live poll feature. 1. Select "Progress Bars with Images". Another box will appear underneath, which is "Total Number of Reactions to Win." 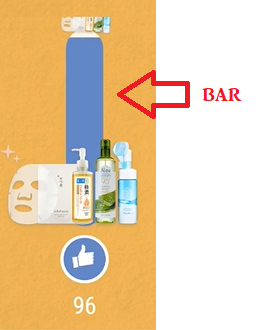 This determines the number of reactions required for the bar to reach all the way to the top. Refer to Image 1 for an example. 2. 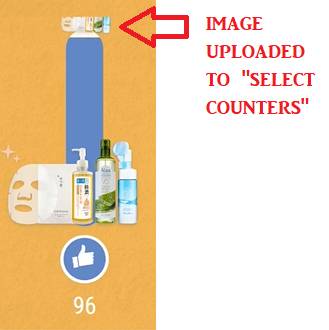 Next, "Select Counters," you may upload your own image that will go up when people react. 1. You may upload your background directly (or you could do it in OBS later too). Select the shoutbox to make your viewers’ comments appear within the video itself. "Count Shared Post Reactions" allows your viewers to share your live videos, and their posts can also have reactions (by their circle of friends). 2. We can ignore the "Premium Feature" option, but if you like what they offer in their description, feel free to get it! Otherwise, just click on the "Preview" button circled in red. It will take some time so give it a few minutes. 3. After generating the preview, it should look like this. Click on "Download" circled in red. 4. You'll download a file called Script. Open it and find a file called Index and open that file with Google Chrome or Mozilla Firefox. Once you open it, it should open a window with the poll. Now you can adjust the bars anywhere you'd like. 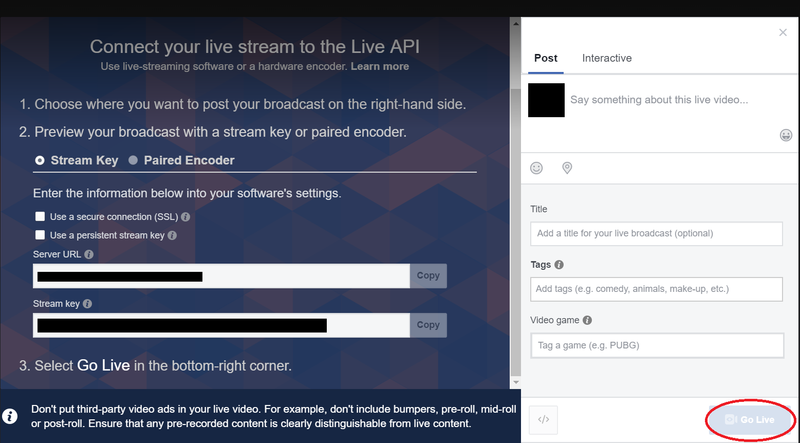 OBS is short for “open broadcaster software” and it’s a free software that allows you to broadcast your desktop by connecting your PC to Facebook. We'll be needing this in order to make our reaction poll live. 1. 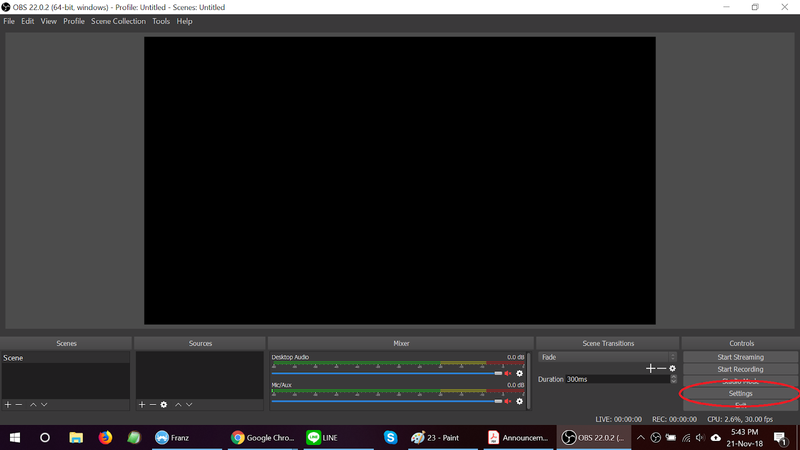 Open OBS and click on "Settings" circled in red. 2. Click on "Stream" and you'll notice the column is empty. Remember the window we asked you not to close in Step 10 in General Settings? 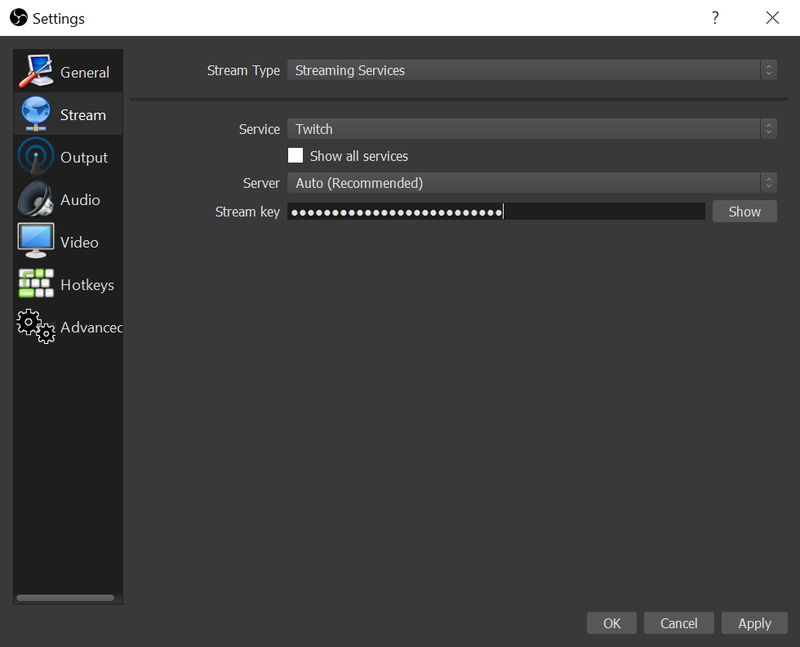 Copy the "Stream Key" into OBS. 3. 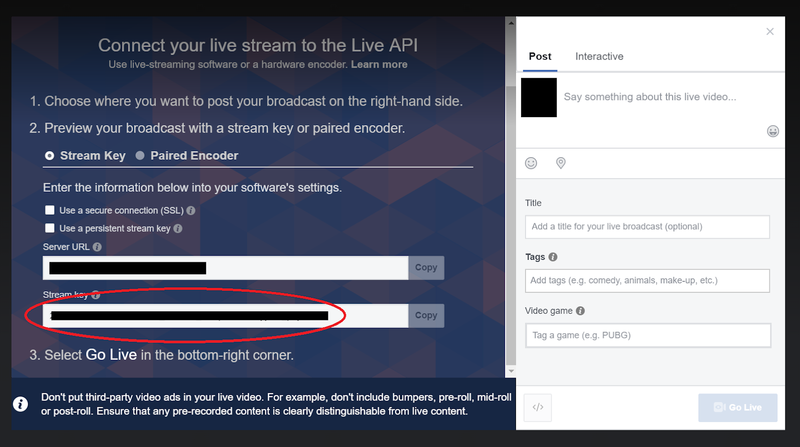 Go back to the Facebook window and just click "Go Live" circled in red. And you're officially done! Congrats on creating your first Live Poll. Go experiment with the other settings and have some fun with your viewers! Is this too complicated for you? Contact us as we might be able to assist you in setting up and hosting a live video poll for your brand. Silver Mouse: How to set up a Facebook live video with reaction poll?